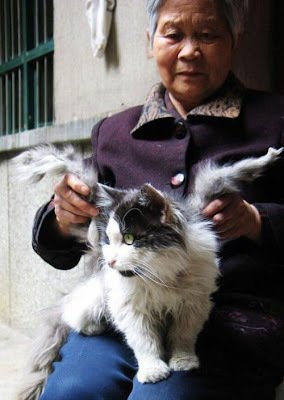 According to Huashang News, a cat in China belonging to an old woman grew two hairy long wings. “At first, they were just two bumps, but they started to grow quickly, and after a month there were two wings,” she said. 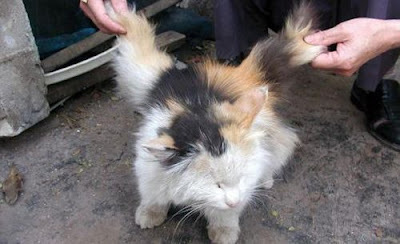 Feng, the old woman from Xianyang city, Shaanxi province, said the wings contain bones and make her cat look like an angel. “A month ago, many female cats in heat came to harass him, and then the wings started to grow,” she said. The woman believes her tomcat got the wings after being sexually harassed by other cats. 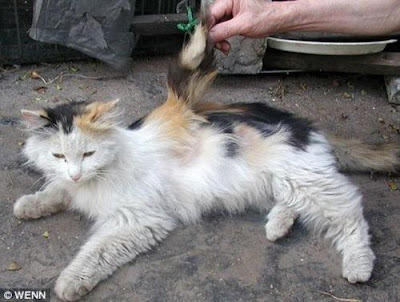 On the other side, the experts say it’s a simple gene mutation that won’t affect the cat’s life.